BARCELONA, Spain (AP) — Barcelona and Brazil midfielder Philippe Coutinho will be sidelined for two to three weeks with a left leg injury. Barcelona says on Thursday that medical tests revealed Coutinho has a “small tear” in an unnamed muscle. Coutinho apparently was injured on Tuesday during the 1-1 draw at Inter Milan in the Champions League. 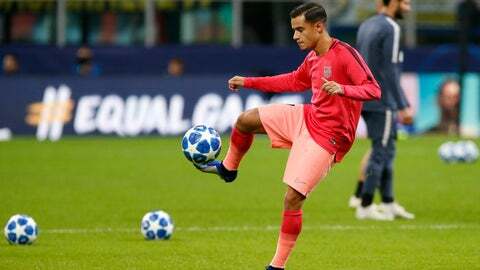 Coutinho will miss a Spanish league match on Sunday against Real Betis, and the international break when Brazil has friendlies against Uruguay and Cameroon. Barcelona faces an important visit to Atletico Madrid on Nov. 24, then travels to the Netherlands to play PSV on Nov. 28. Coutinho has five goals for Barcelona this season.